This package contains Modelica functions that are especially suited for scripting. The functions might be used to work with strings, read data from file, write data to file or copy, move and remove files. 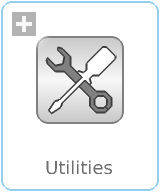 Modelica.Utilities.User's Guide discusses the most important aspects of this library. Modelica.Utilities.Examples contains examples that demonstrate the usage of this library. Files provides functions to operate on files and directories, e.g., to copy, move, remove files. Streams provides functions to read from files and write to files. Strings provides functions to operate on strings. E.g. substring, find, replace, sort, scanToken. System provides functions to interact with the environment. E.g., get or set the working directory or environment variables and to send a command to the default shell. Copyright © 1998-2016, Modelica Association, DLR, and Dassault Systèmes AB.